Well, I was looking for a cookie to make for a school function, the annual Cookie Extravaganza, and found these Andes baking chips in the baking aisle in the supermarket. I love Andes mints so I thought I’d try the recipe on the back of the package. Am I glad I did! So is my family! So are the friends who received them! So are the teachers and kids at school! Minty goodness! Some of the best recipes come from the back of packages! This is not your typical cookie dough. It’s very difficult to stir in the Andes chips and flour so I put on food safe gloves and worked it with my hands until it was combined. That really took no time at all. Don’t skip the chilling part. I’ve made these twice as of publication and once I did the one hour chilling and once I did overnight. Both worked fine. When you flatten the cookie make sure they are consistent so they bake evenly. The recipe says it makes 4 dozen but I used a 1-inch (ice cream type) scoop and I got a little more than 6 dozen. Move oven to one level above middle and preheat oven to 350 degrees F. Line rimmed baking sheets with parchment paper and set aside. Beat butter, sugars, baking soda, baking powder, vanilla and eggs until mixed. Stir in Andes Baking Chips then flour. Chill approximately one hour in the refrigerator. Measure out approximately 1 ounce of dough. Form a ball and slightly flatten. Raise oven rack one level above middle and bake on parchment lined baking sheets at 350 degrees F for approximately 8 – 10 minutes. Cool on pan for 2 minutes before removing to cooling rack to cool completely. Store covered at room temperature. Makes 4 (or maybe 6) dozen. 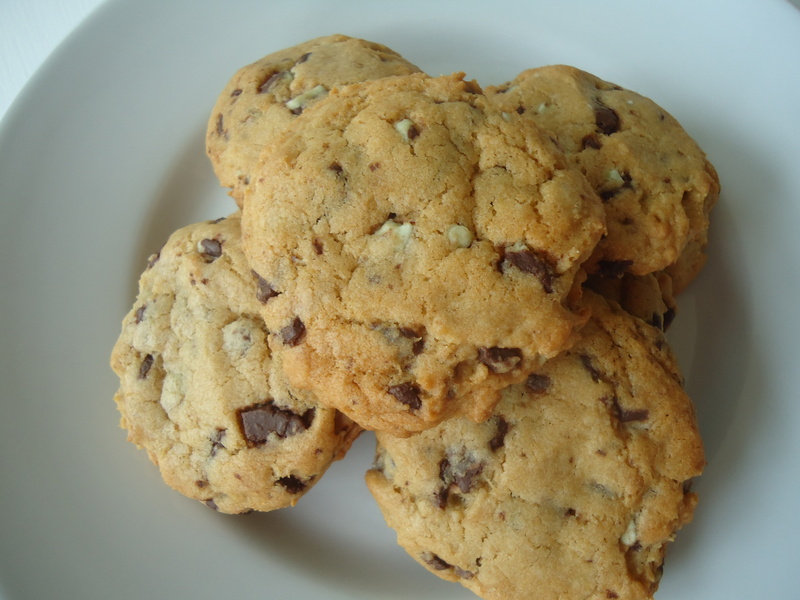 This entry was posted in Cookies, Desserts, Favorite Things, Kid's Favorites, Makes A Great Gift and tagged Andes Mints, Chocolate mint, Christmas Cookies, Cookies, Creme de Menthe, sweets. Bookmark the permalink.